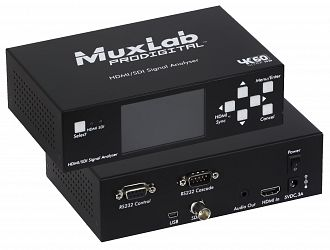 Muxlab 500831 är en portabel signalsanalysator för HDMI 2.0 och SD/HD/3G-SDI. 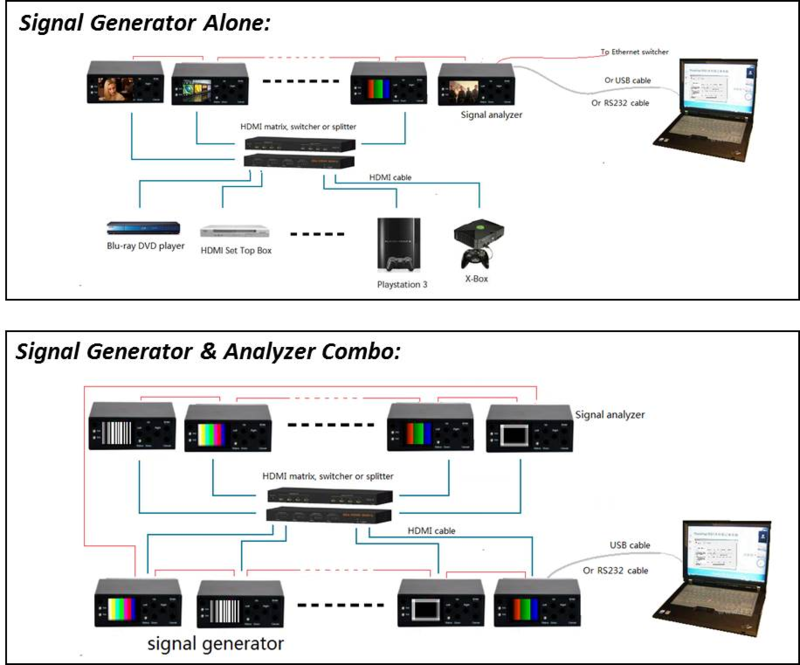 This Signal Analyzer is a portable test tool that is able to analyze SD/HD/3G SDI and HDMI 2.0 test patterns in a full range of resolutions up to [email protected] 60Hz (4:4:4). The unit assists users in validating the capabilities and proper operation of their source devices. When used with the 500830 Signal Generator, a useful set of cable connectivity/quality tests, and device compatibility tests can be performed to help identify problems. The device is an exceptional tool at an attractive price for any AV engineer/developer, Integrator and installer. Portable Signal Analyzer – for autonomous operation anytime and anywhere!